Ehren on the naughty step! Well the summer silly season continues to run at full speed. I promised that it was time for Lexi to get back out there and see where we are so we headed off to Felbridge for their BE80 combined training. She did very well and although very green still she ended up 3rd with a 31 dressage and clear SJ. I was so pleased with how hard she tried all day, real progress! With Friends of Freddie ODE looming we headed over to Sally Thurloway for a lesson on grass, in fact our first time show-jumping on grass since the Munstead unaff 80. This was a rather illuminating day out as Lexi went into panic mode and made me realise even more how I need to keep plugging away with helping her ‘cope’. I decided to take her to Lingfield to use the gallops. We are on clay at home so can only walk on hacks at the moment, and also I thought it would be more experience for her. In fact it was a huge amount for a scaredy-cat pony to deal with and apart from the home straight and finish posts she coped really well. She isn’t quite yet always thinking forwards but I am aware that she has grown a good inch in the last year so always have in the back of my mind that she may just need some time to physically mature too. Unfortunately when we got back to the lorry I found a huge sore between her girth and elbow. So no Friends of Freddie for us. Groan. I had arranged two lessons away from home with Ehren before the Regionals so that Char could see how different she is and help me get a better tune from her. In the first lesson Ehren felt really odd, not at all like she usually feels away from home. It turned out that I had the noseband a hole too tight which she absolutely hates and I should know better. Obviously had my brain switched onto standby that day as I foolishly rode her like I would at home and gave her a bit of a kick forwards. Uh-oh! She explained in no uncertain terms that I had been rude and bucked me straight off. No warning, just “Get off now!”. To add insult to injury I sat on my spur on landing and my backside was agony for weeks; something everyone else seems to think is absolutely hilarious. 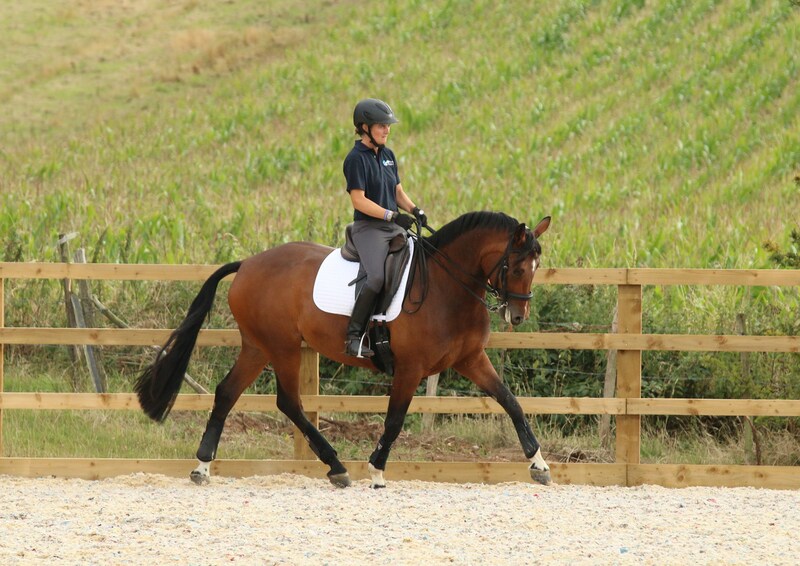 How embarrassing; falling off in someone else’s school during a flatwork lesson. If she was in disgrace in my last blog, she was definitely on the naughty step after this! Thankfully the second lesson was far more productive and more of a fact finding mission in what upsets her. The plan was always just to survive the Summer Regionals, and to try and be more competitive if we qualify for the Winters. Given the wild performances beforehand it was very much about keeping it calm and giving her a confidence boosting outing which I am delighted is exactly how it went. This would always result in a hopeless score but for the first time in months she was sensible and it felt like a potential regionals ride rather than a bomb that sometimes goes off and sometimes doesn’t. Everything crossed that we are making progress in the competition arena as her work at home has come on in leaps and bounds this year and I am keen to show it off! 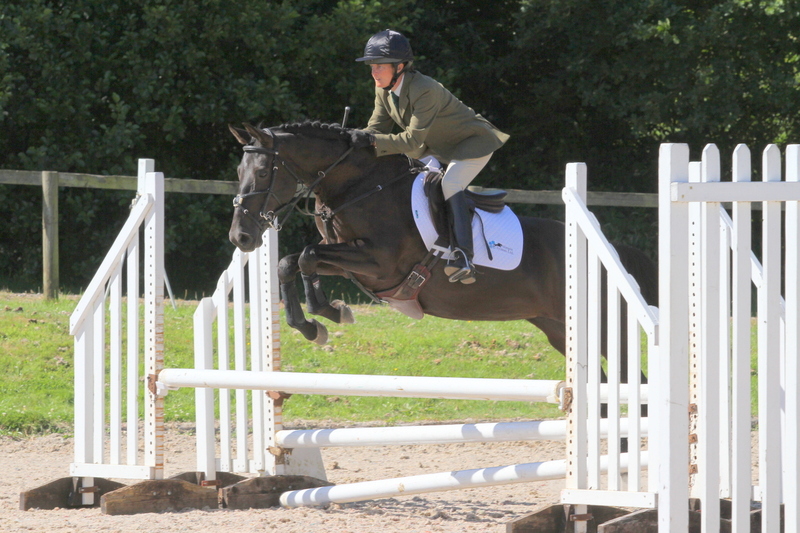 Lily went to Eridge BE90 and jumped really well. She jumped another really smart clear again SJ but unfortunately just tripped up the ditch and step on the XC, took a slice out of her heel and wasn’t focussed in time for the log pile. How frustrating! 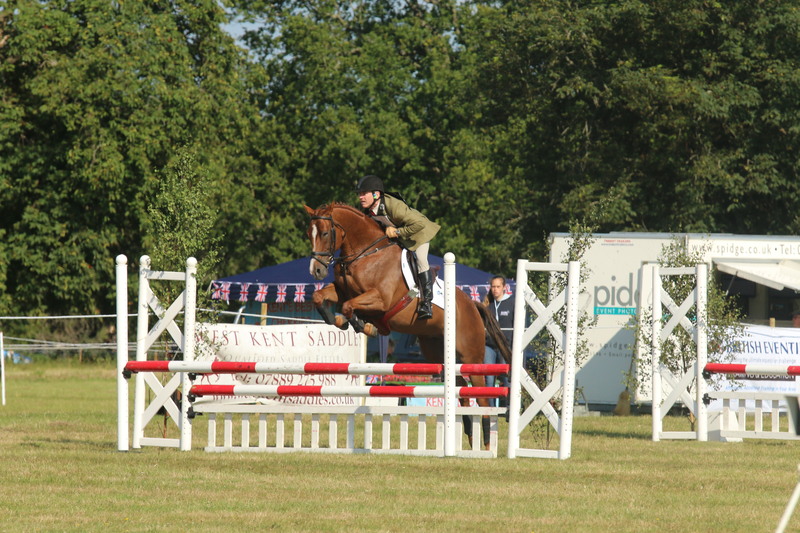 We decided that as she is so much more robust in her jumping to enter the BE100 at Chilham. It’s funny as most of the other girls started their BE career at BE100, and I appreciate that the courses have changed enormously over the years, but the day Lily does her first one I will be in bits. It’s just a dip the toe in the water day but I will be more nervous than anyone!